Thanks to everyone who put up with me through the month. Additional thanks to Maya Chin and Olivia Reed for beta testing. No thanks to all the things I neglected while making this game because now I have to catch up on them. 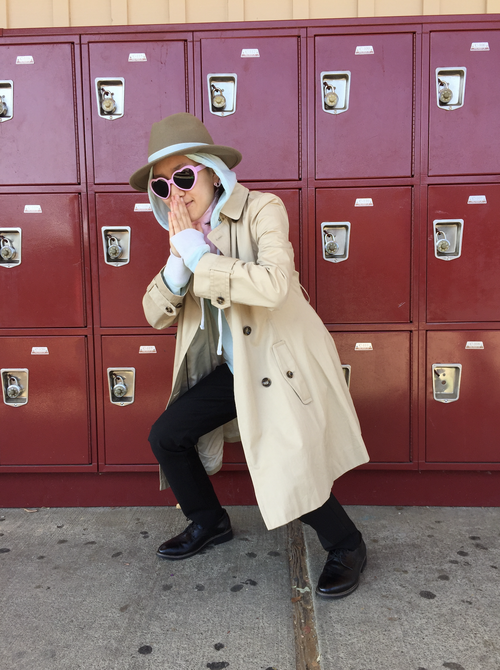 Here's a bonus pic of me dressed up as the detective for Halloween. Enjoy.